This may never have been something you have thought about, but have you ever wondered if your dog has depression? Dogs can get depressed just like humans, making it important to look for signs, working out triggers and also ensuring that the well-being of your dog is being monitored. There are many things that can cause depression in dogs. Dogs become incredibly attached to people and this companionship for the dog means everything. 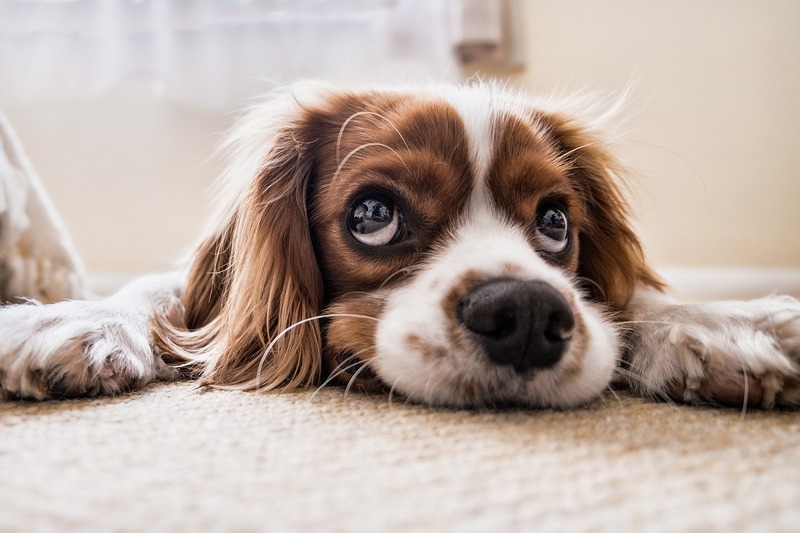 One reason for a dog to become depressed could be a change of environment; such as moving to a new house, a new pet joining the family or a new baby. Many things such as this can be unsettling for dogs as even small changes can be difficult for them. They can become inactive, lethargic and uninterested in things they once enjoyed, such as going for walks and playing. They become slower in things they are doing with no interest, which isn’t due to a physical condition such as old age. They can become withdrawn and prefer to be on their own. They’ll get up and walk into a different room to get away from humans or other animals and get annoyed when disturbed. Changes in appetite. When a dog is depressed, they can start to eat less or more food. Their sleeping habits change and they’ll sleep more than they normally do. They lick their paws which can be a way of them soothing themselves emotionally. They may become aggressive with other dogs and humans and give a warning when someone goes near them. They may begin to refuse water. This can lead to dehydration and become a serious problem. They shed their hair excessively. This is linked to malnutrition due to them not eating and drinking as much as they should. The above signs are indicators that your dog may be suffering from depression. It is important that you seek a vet’s professional opinion before assuming anything though as these symptoms can also be a sign that something is physically wrong with your dog. The best way to treat your dog with depression is to give it plenty of love and attention. Although your dog may act like they do not want to be around you, be patient and take it slowly. Start getting your dog back involved with more walking and exercise as this can help. Try and socialize your dog with other people and dogs, as this can help your dog start to interact again. These things can take a time but eventually, you should see an improvement. Medication (such as those given to humans) can be prescribed but that is normally only given as a last resort. Finding out the cause (listed above) is the first priority and then working on how to treat them.